I participated in an Influencer Activation on behalf of Mom Central Consulting for Vitafusion. I received a product sample to facilitate my review and a promotional item to thank me for participating. Confession time. Other than when I was pregnant (and worried about someone else's well-being), I don't do a stellar job taking vitamins. It's not that I have an aversion or particular reason, it just seems that swallowing the pills simply for the sake of it has fallen so far down on my must-do list that it dropped off altogether. Unfortunately, no matter how much I try to convince myself that I'm receiving all of the nutrients that I need through my attempts at a complete and balanced diet, the chance of that being true is pretty slim. My good intentions just can't compete with our busy lives, but does that mean that my health needs to suffer? Not now that I have been introduced to the ease, taste and convenience of Vitafusion MultiVites PLUS! Offering a variety of vitamins, minerals, and other dietary supplements to meet your health needs through every stage of life, Vitafusion is the number one adult gummy vitamin brand. Whether you are looking to include a specific vitamin into your life (such as B, C, Calcium or B12) or are simply looking to increase your overall well-being, Vitafusion provides a way for healthy habits to be enjoyable. Newly released in March 2014, the new Vitafusion PLUS line provides an essential daily formula to support a healthy diet while also focusing on specific health areas such as hair, skin and nails, digestive, immune and heart support. Considering there isn't an area of my body that couldn't use a little help, I was excited to try two of the Vitafusion MultiVites PLUS for myself! Right away I was impressed by the fact that both of these vitamins provide an essential daily formula to support a healthy diet and that the natural berry, citrus and fruit flavors were appealing to just about every taste bud out there. ...and eating just two of these gummies provides as much zinc as two cups of sliced almonds, as much vitamin C as five medium tangerines and as much vitamin D3 as 2½ oz of salmon. At the same time, the Vitafusion MultiVites PLUS Hair, Skin & Nails Support are stocked full of essential vitamins, biotin and lutein to support your hair, skin and nails. 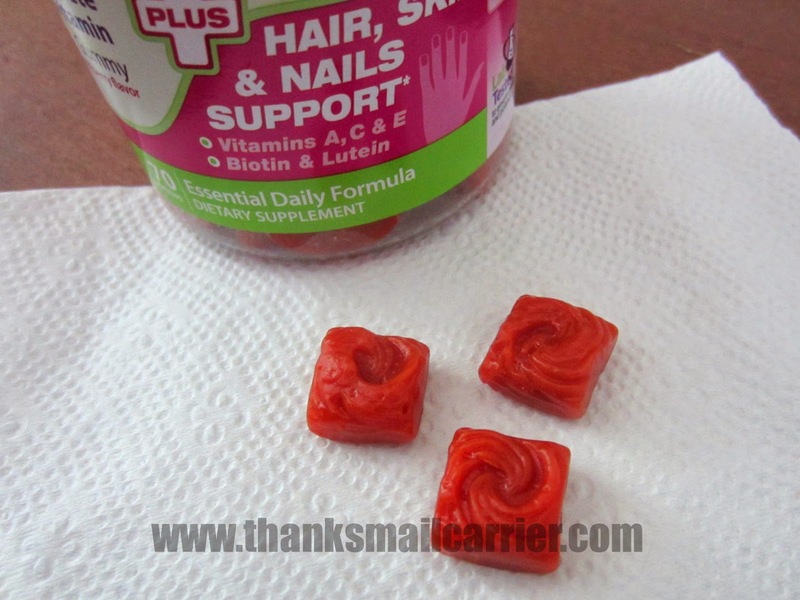 Eating two of these gummies is not only an excellent source of vitamins A, C and D, but biotin and lutein as well as energy and metabolism support! 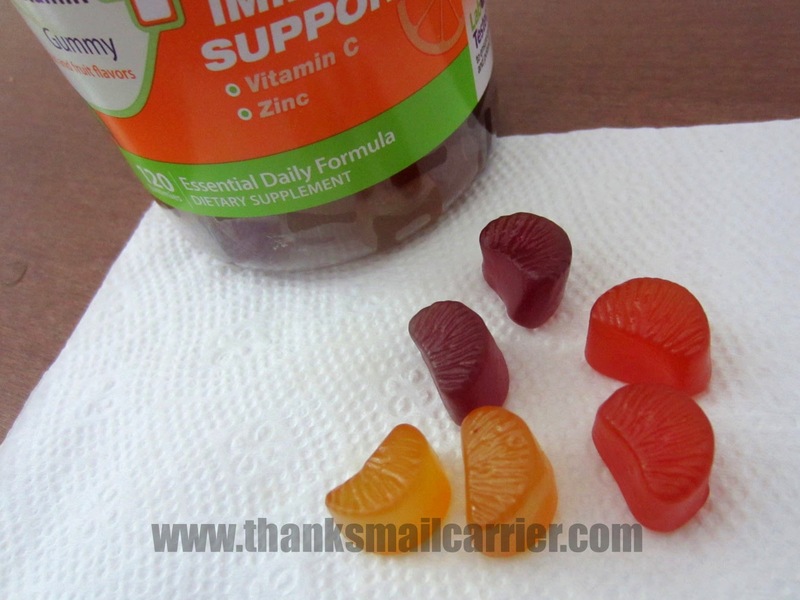 I really couldn't be happier over the way that Vitafusion MultiVites PLUS has made nutrition taste good by combining the power of vitamins with a great tasting gummy. These aren't sugary sweet, but just right that they're perfectly enjoyable enough to be turned into a daily habit. Why wouldn't I want to pop a tasty gummy vitamin in my mouth when it is going to provide me with health and flavor? Vitafusion MultiVites PLUS are intended for adults only and combine the power of vitamins with natural, great-tasting fruit flavor (made in the USA!) and also eliminate the traditional hassles of chewing chalky tablets or swallowing large pills. Isn't it time that you started a healthy habit and focused on taking care of yourself? Find out more about the full line of Vitafusion gummy vitamins by visiting their website (print off a coupon while you're there! ), connecting with them on Facebook and finding these tasty bits of healthy goodness at your local retailer. I have problems taking vitamins, but if I took these soft yummy bites then I probably would not have any problem taking them. I have tried these and they taste delicious! 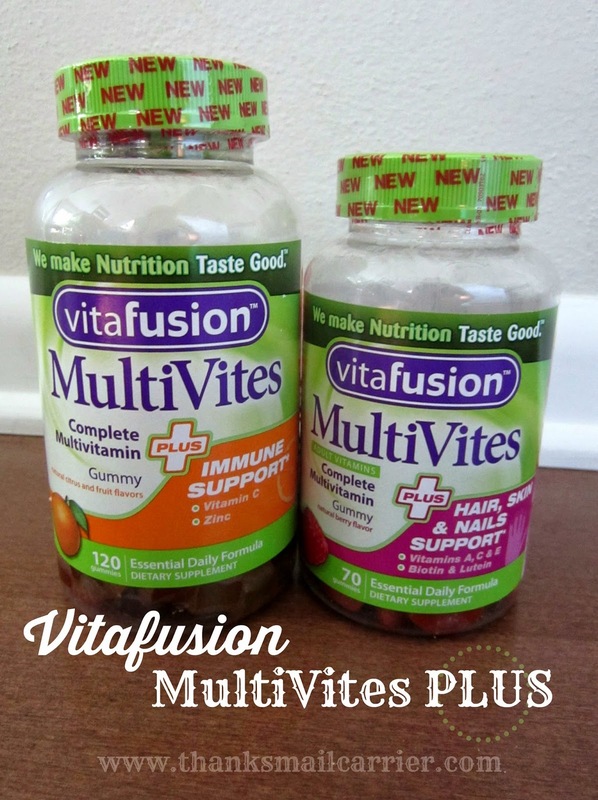 I take a multivitamin supplement daily, I would definitely give these Vitafusion MultiVites Plus Gummy vitamins a try. Thank you for sharing this review. I take too many pills for my RA and so haven't added a daily vitamin. I could eat some of these and pretend they are candy. I would love to try these. I have a tough time swallowing pills so do not take vitamins presently.